Your search for property Over Now “Omkar Sereno”. Launching Theme based Residential Apartments at Andheri, Mumbai for luxury lovers……. 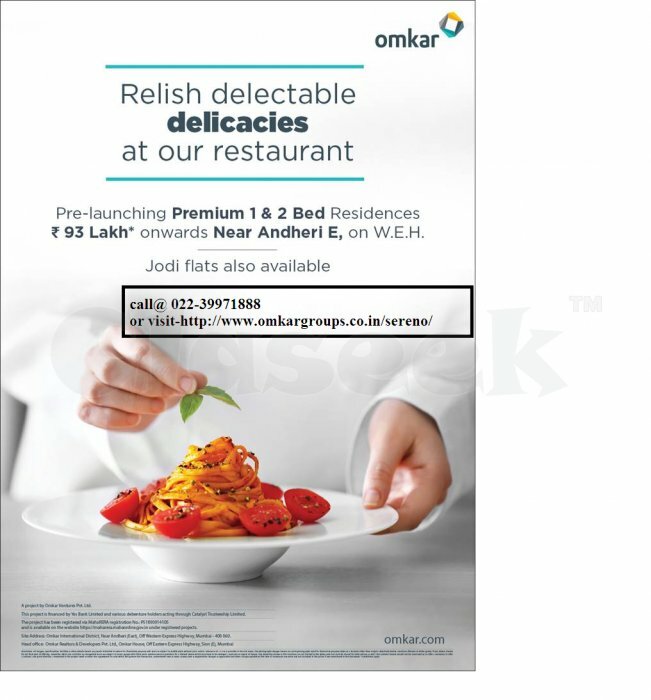 Omkar offers 1BHK & 2 BHK residences. Located in the most Attractive area of Andheri East Mumbai. this project is Advanced in approx 70 acres land Area. 1 & 2-bed boutique residences will offer breathtaking views of landscaped courtyards, the city & the urban Framework across the development. These residences flats come along with 35+ Affluence & lifestyle amenities, shopping stores & much more. An array of international & hospitality partners ensure a lifestyle, way beyond your desire! !